Definitely something a little out of the ordinary! 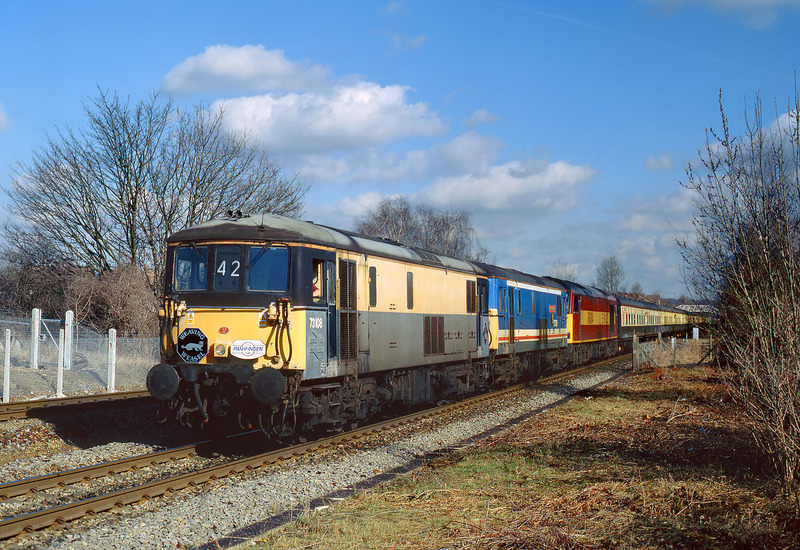 73108 & 73129 City of Winchester add their combined 1200 hp to 60004's 3100 hp as they pass Kennington with the Pathfinder Tours 1Z42 05:45 Sheffield to Eastleigh 'Weaving Weasel' railtour on 26 February 2000. This combination of locos had just replaced the slightly more standard railtour fare (for the time) of 56089, which had worked the tour as far as Oxford. The electro diesels were obviously the highlight of the tour, certainly being very rare beasties in the Oxford area.